Chinese government puts a ban on initial coin offerings, bringing down Bitcoin inflation. While cryptocurrencies and digital money seems to be all the rage these days, China clearly didn’t get the memo. In a decision that shook the very foundations of a growing cryptocurrency market, Chinese government has placed a ban on initial coin offerings. This was done in order to prevent startups from raising funds by selling cryptocurrencies. Although this doesn’t ban digital currency transactions, but only curbs illegal fundraising by selling cheap cryptocurrencies. Most of the Countries are aware of the Government’s tight leash on cyber security and online activities in China. While this decision doesn’t directly affect the circulation of digital money in China, it sure had a negative effect in the market. WHY IS THIS BAD NEWS FOR BITCOIN? As mentioned above, this new ban shouldn’t really discourage bitcoin owners in China. However since a lot of bitcoin were channeled into ICO transactions, this news caused a massive 5-11% drop in bitcoin prices. We already saw how prices for the revolutionary digital currency soared to new heights this year, especially after celebrity endorsements by the likes of Floyd Mayweather etc. This also led to a lot of investment in Bitcoin last year and more than almost $400 million raised by trading ICOs. Experts have suggested that this price drop isn’t really a bad thing as most people would think. In turn, this would keep bitcoin inflation in check and prevent fraud. IS IT ANY GOOD FOR THE CHINESE? Despite scrutiny from public and enterprises, the People’s Bank of China has made it clear by stating “ICOs are a form of unauthorised and illegal public financing and have seriously disrupted economic and financial order.” These virtual currencies are considered to be gateways for frauds and scams by Chinese authorities and putting a straightforward ban on ICOs is the first step to prevent crimes such as money laundering and tax evasion. Nevertheless, this doesn’t mean China will not entertain bitcoins as several big enterprises in the country have invested in ICOs. Tesla CEO worried that Putin’s recent speeches involving a global race for AI would bring about the third great war in human history. Despite AI or Artificial Intelligence being a major player in today’s digital age, the Tesla CEO hasn’t been really welcoming to new breakthroughs. Elon Musk had already got into a verbal spat with Mark Zuckerberg when he challenged the latter’s understanding on AI. He has since, continued to post ominous tweets about the ill-implementation of this technology and how it is akin to playing with fire. But things clearly went off the charts after Russian President Vladimir Putin openly stated how a country’s expertise in AI tech will determine its strength. This caused a stir on Twitter leading to Musk’s tweet that this global rat race could bring about the apocalypse or World War 3 (whichever seems more destructive). IS THERE ANY LOGIC TO THESE FEARS? Although Hollywood and science fiction have time and again portrayed overly advanced tech as bad, we surely can’t expect all of that to be true. 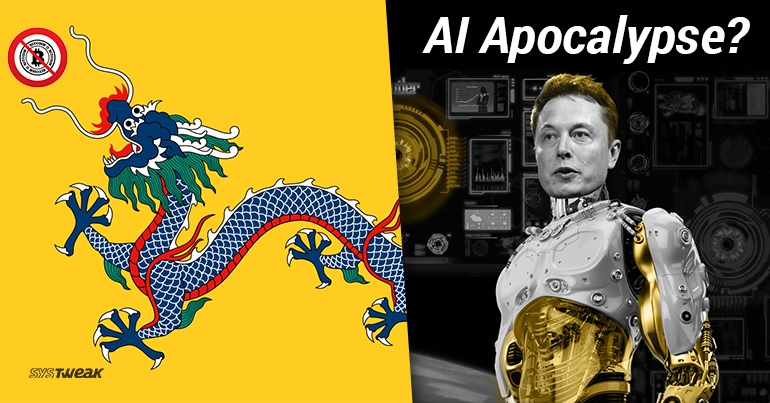 Comparing the threat of AI to currently looming North Korean situation, we can clearly understand how Mr. Musk might be bordering on paranoia. He has clearly stated how uncontrolled AI weapons systems can prove to be far more devastating than nuclear attacks and escalate armed conflicts to a whole new level.